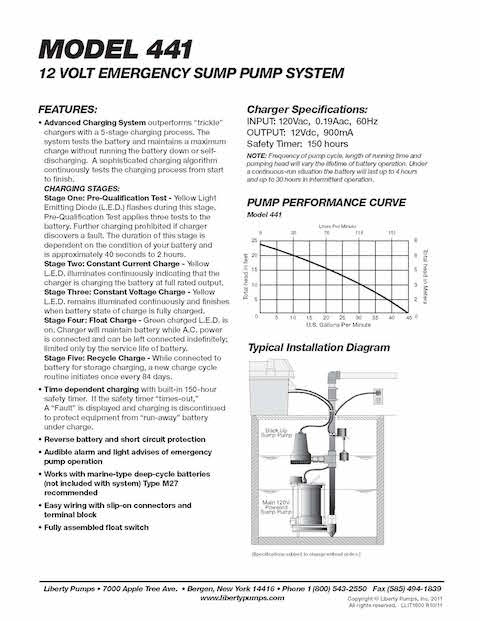 Battery Back up Sump Pump for crawl spaces and basements, by Liberty Pumps. This is the Liberty 441 battery back up sump pump. This pump comes complete with a battery powered sump pump, a battery charger, a check valve and the necessary connections for installation. Use a deep-cycle marine battery which can be purchased at any battery store that sells auto or marine batteries. 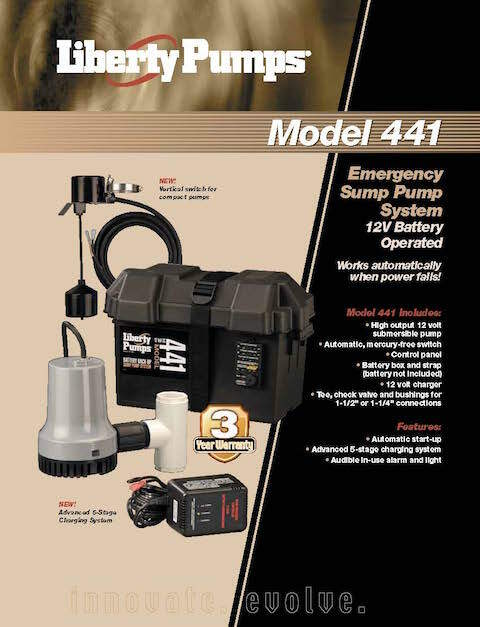 This battery back up can not be installed by itself, it is required to have a standard 110-120v sump pump installed. This back up pump is installed in the PVC plumbing for the standard pump. Please call us if you have any question.